Our 2019 Pennsylvania Wall Calendar features scenes from across the state, including views of Pittsburgh at the University of Pittsburgh's Cathedral of Learning, the Pennsylvania Grand Canyon, Erie's Presque Isle State Park, Berks County's Roadside America, Kennywood Park, Parker Dam State Park in Clearfield County, Cole Run Falls in the Laurel Highlands, the Standing Stone Trail in Huntingdon County, Raystown Lake, Hickory Run State Park in the Pocono Mountains, Allentown's PPL Building, and Worlds End State Park. 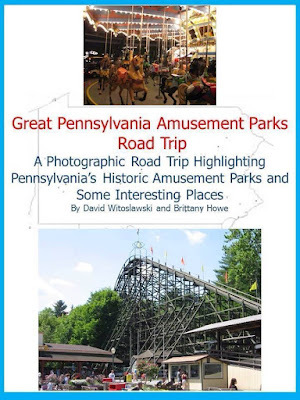 Also available is our book on Pennsylvania's historic amusement parks, Great Pennsylvania Amusement Parks Road Trip. 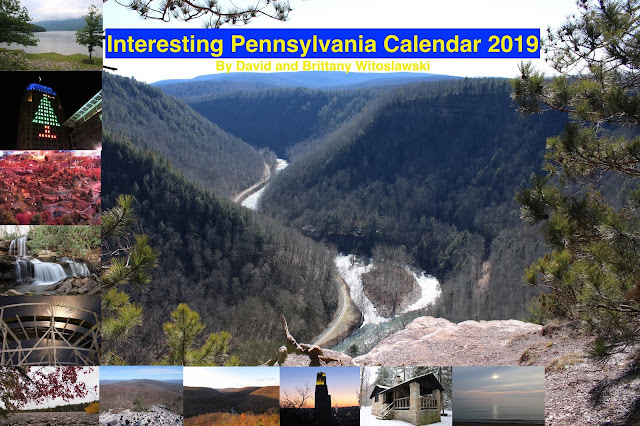 It features Knoebels, Kennywood Park, Hersheypark, Dorney Park, Waldameer, DelGrosso's, the currently idle Lakemont, Dutch Wonderland, Idlewild, and Conneaut Lake Park. Purchases of both items can be made through the PayPal menu at the bottom of this page, and at the top of this page.